BA (Hons) ACA CTA (Fellow) qualified as a Chartered Accountant and Chartered Tax advisor with Ernst and Young. Sarah Bradford BA (Hons) ACA CTA (Fellow) qualified as a Chartered Accountant and Chartered Tax Advisor with Ernst and Young. After qualification she worked for the CCH arm of Wolters Kluwer (UK) Ltd for eight years in various technical writing an and management roles. 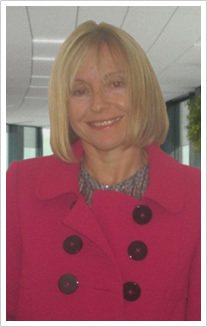 Sarah left Wolters Kluwer (UK) Ltd in December 1999 to set up her own business. She worked in a freelance capacity for several years before incorporating to form WriteTax Ltd in 2003. WriteTax Consultancy Services Ltd was incorporated in 2010. She has strong links with many professional publishers, with whom she has worked closely for many years, whilst continuing to provide taxation support to a number of clients. She contributes regularly to a range of newsletters and information services and works extensively on legislation. She has also written a number of digests on specific topics and is the author of several books. Please view the Published Work section of the website for more information.